What types of parrots are in video games? Exotic, vividly coloured and prone to mimicry, parrots hold a revered place in popular culture, and this has extended to a few memorable appearances in video games. This brief history of video-game parrots reflects our enduring fascination with these beautiful birds. Sounds great, right? Well,the following are some of the parrots in video games. Adapted from the plot of Michael Crichton’s novel Congo (but transported to the Amazon), this graphical adventure game invites players to explore a South American jungle accompanied by a parrot or Parrotlet called Paco, in search of a lost city and an expedition that went missing. This red-and-green-feathered Amazon parrotlet is sassy and obnoxious, but can aid you in your quest if you make friends with him. If you’ve ever wanted a parrotlet as a pet check out the parrotlets price – they’re not as expensive as you thought. This is the third and final instalment in a series of puzzle games by the Japanese developer Level-5, starring the adventurer Professor Layton. The hero advances across a landscape solving increasingly tricky puzzles presented by locals en route. One of the rewards in solving these puzzles is access to a series of three mini-games, one of which involves training a parrot to carry items via a system of ropes and walls. 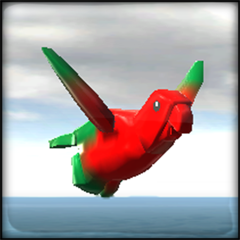 The user gets to name this parrot, which has a yellow body and green wings and crest. Unlike Paco, this parrot does not show a forceful personality but is obedient and hardworking. Parrots have long been associated with pirates, an association that goes all the way back to Treasure Island’s Long John Silver and his beloved macaw. And in this computer game a particularly persistent parrot plays a central role in the solving of a puzzle. The parrot is required by one of the pirates in order for him to be persuaded to join your pirate crew. Unfortunately for parrot-lovers, this feat is only accomplished through brute force. 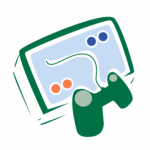 This multiplayer game invites players to fight it out in teams of six in a dystopian future scenario. One of the characters, Bastion, is accompanied by a cute yellow parrot called Ganymede, which helps out in warfare by firing a small gun of its own. The character was based on video-game artist Kimberly LeCrone’s Senegal parrot called Tikka. So as we’ve seen parrots in video games play various fascinating roles in computer-games. 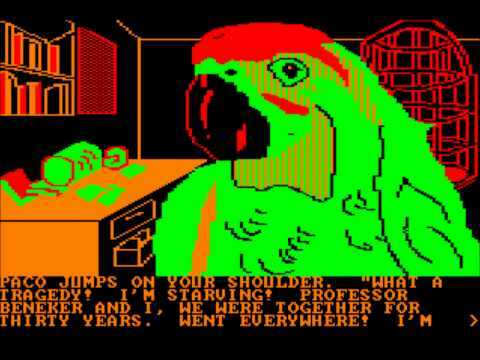 Perhaps one day a major game title will cast a parrot in its starring role? That will be the best idea ever.